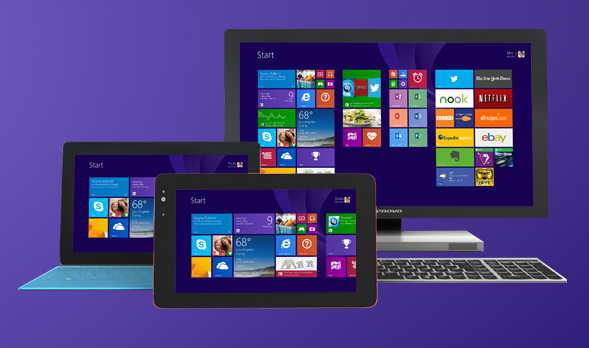 We all are anxiously waiting for the general availability of Windows 8.1 on October the 18th. We are hoping that we will also see some influx of new apps designed for Windows 8.1 and apps that Microsoft has promised us in the 2013 BUILD conference, namely Facebook and Flipboard. Another thing we might find in GA of Windows 8.1 is a new presentation of featured apps on the Start Screen. If you see the image above (acquired from the Windows Website), you will notice that the Store Tile features a more prominent live tile. In Windows 8.0, the Windows Store tile was a live tile, but it would only show the number of app updates available. In Windows 8.1, it appears that the Windows Store is showing featured apps that users can download. You may already know that the RTM version of the Windows 8.1 allows you to set the Store tile to large, and on the picture above, it makes sense as to why one would want to do this. It seems that if you set the tile to large, you can see a collection of featured apps that Microsoft recommends. Of course, if you choose to do so, you can turn off the live tile for Windows Store, or make it a small tile. You can also unpin a tile, as before. I am personally very excited for this feature, as it allows me to see new editorial app pics without having to launch the Windows Store. Secondly, it looks kind of nice. What do you think? If you are already running Windows 8.1 RTM, let us know if this feature is already available to you. Update: This feature is not yet available in the RTM release that has been provided to MSDN and TechNet subscribers (as well as Dreamspark Premium users). It is very likely that it is part of the massive post-RTM updates that is coming before GA. All current RTM users will be able to download the updates from Windows Update for free in the near future.